Day Trips / Sightseeing Orange County, CA. Laguna Beach, CA. 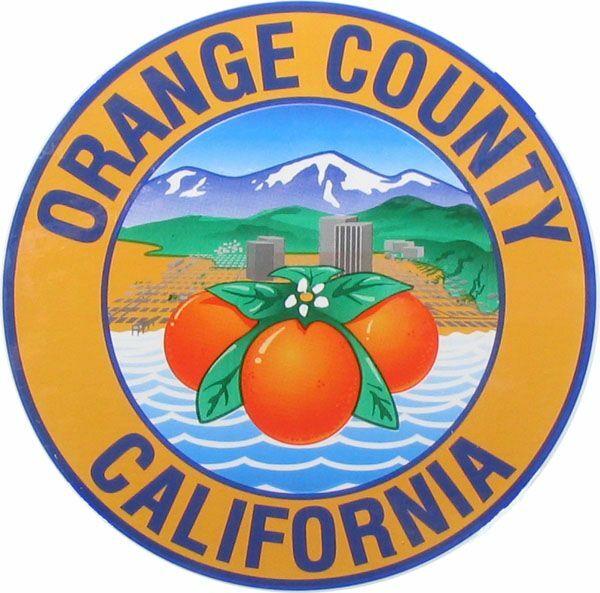 is a small coastal city in Orange County, California. 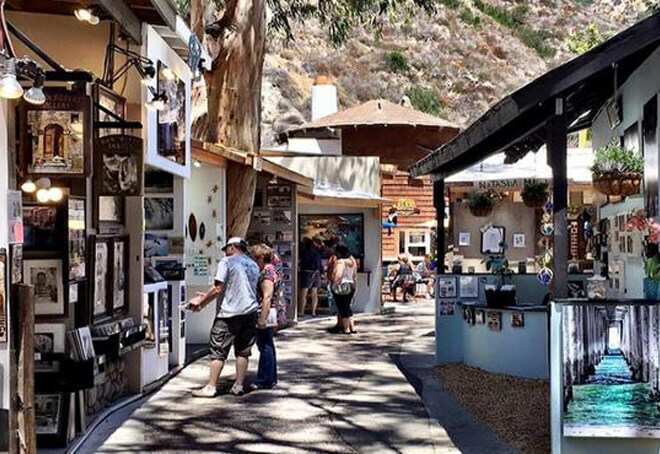 It’s known for its many art galleries, coves and beaches. Main Beach features tide pools and a boardwalk leading to the paths and gardens of nearby Heisler Park. Aliso Beach Park is a popular surf spot. The waters off Crystal Cove State Park are designated as an underwater park. Trails meander through coastal canyons in Laguna Coast Wilderness Park. Newport Beach – Balboa, CA. Newport Beach, CA., a coastal city in southern California, is known for its large, boat-filled harbor. 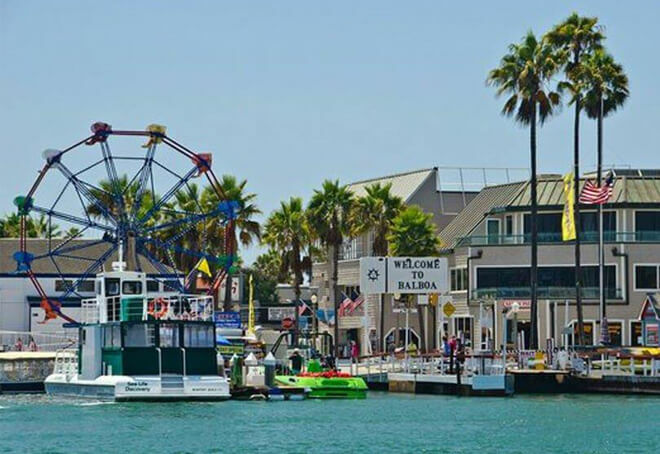 Balboa Peninsula has 2 piers, Newport Beach Pier and Balboa Pier, plus the Balboa Fun Zone, an old-school amusement park with a Ferris wheel and ocean views. Local beaches include the Wedge, known for its big waves, and Corona del Mar State Beach. The Orange County Museum of Art exhibits modern and contemporary works. Huntington Beach, CA. – Surf Capital of the World. Huntington Beach, CA. is a California city southeast of Los Angeles. 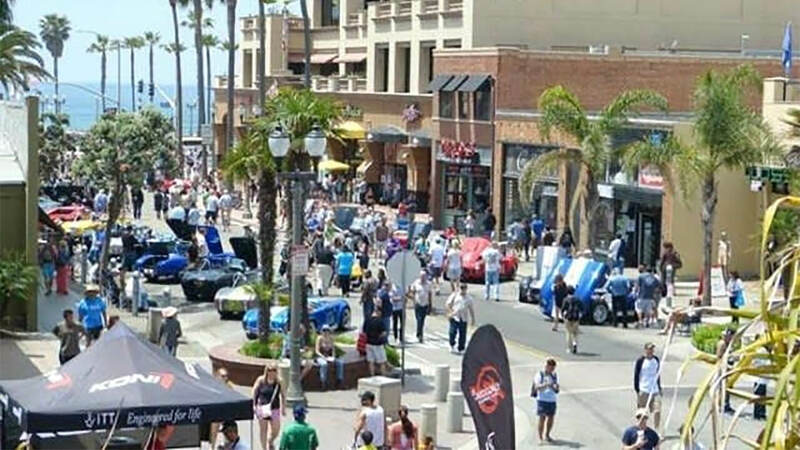 It’s known for surf beaches, such as Huntington City Beach, with its long Huntington Beach Pier. The International Surfing Museum displays longboards and other memorabilia. Sprawling Huntington Central Park features fields, gardens and lakes, plus an equestrian center. Bolsa Chica Ecological Reserve’s wetlands and dunes shelter hundreds of bird species. Fashion Island, as Orange County’s premier coastal shopping experience, Fashion Island features exclusive specialty boutiques, world-class department stores and a diverse assortment of restaurants and cafes. Fashion Island offers a sophisticated yet relaxed, resort-like atmosphere that is distinctively Southern California, with pristine views of the Pacific Ocean. 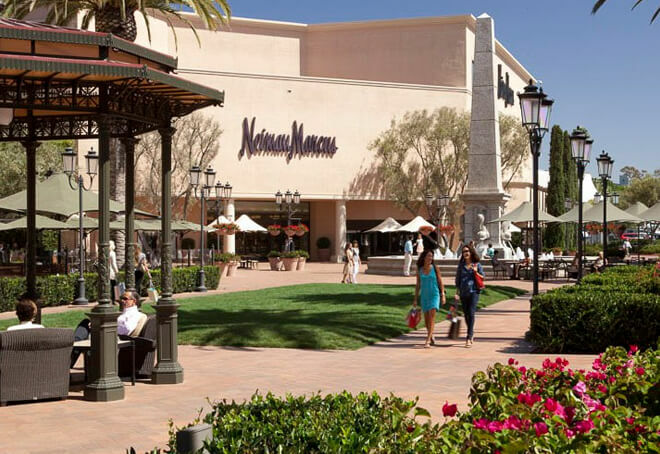 Owned by Irvine Company, Fashion Island is home to Nordstrom, Bloomingdale’s, Bloomingdale’s Home Store and Macy’s – in addition to Orange County’s only Neiman Marcus, Nespresso, Urban Decay, Nike Women’s, SoulCycle, Trina Turk, Vince, Joie and Halston Heritage. Fashion Island also features acclaimed restaurants such as Sushi Roku, FIG & OLIVE, Red O by Rick Bayless, CUCINA enoteca, Lemonade, Hopdoddy Burger Bar and True Food Kitchen. South Coast Plaza is a shopping center in Costa Mesa, California. The largest shopping center on the West Coast of the United States, its sales of over $1.5 billion annually are the highest in the United States. 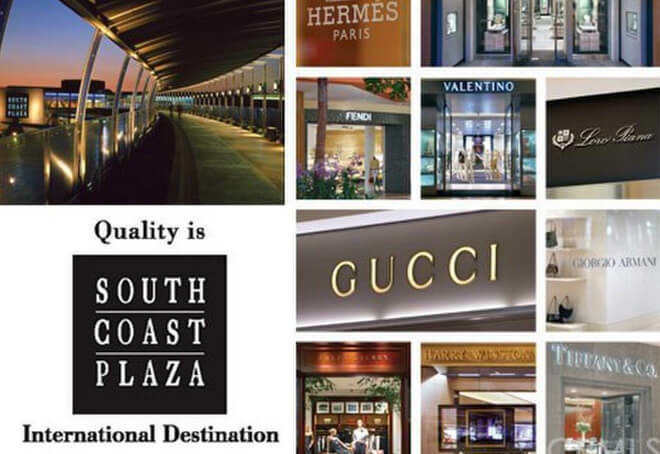 Many ultra-luxury brands, which have very few boutiques nationwide, have chosen South Coast Plaza as one of their few (and for some brands, their only) store locations. Zara made its debut in the California market opening their first California store in South Coast Plaza in 2004. In 2005, French luxury design house Chloéopted to open their second United States boutique at South Coast Plaza. As of Fall 2008, this is still the only southern California location, with Rodeo Drive in Beverly Hills notably absent. Watch Manufacturer Rolex opened their flagship U.S. location at South Coast Plaza. 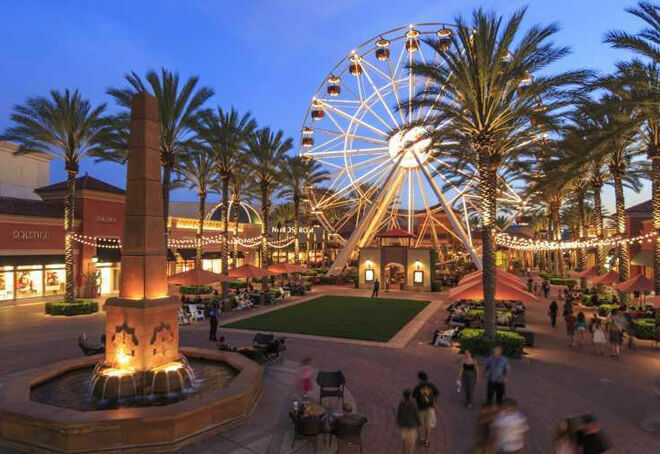 The Irvine Spectrum Center is an outdoor, located on the southeast edge of Irvine, California, US. It is currently the only bit of urbanization connecting the Mission Viejo/San Juan Capistrano/San Clemente area to the rest of the Irvine/Los Angeles/San Bernardino conurbation. The mall features an Edwards 21-screen movie theater. Built over a 10-year period, the first phase of the center opened in 1995 and the second phase followed in 1998. The third phase was completed in 2002. The fourth and fifth phases were built and completed between 2005 and 2006. The mall is used for establishing shots of the fictional “Mall of Miami” in the Disney Channel television series Austin and Ally. Rate Starts at $245*Up to 4 passengers.